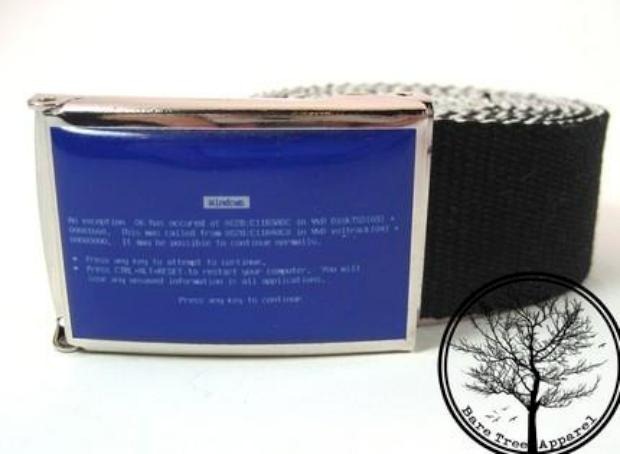 Behold the Blue Screen of Death belt! Is the Blue Screen of Death still hysterically funny to everybody? Whatever the case, it looks like BSOD humor hasn’t completely faded out yet even though critical system errors seem to be less and less common nowadays. Yours for $23 at Geek Gone Chic.